Happy Friday everyone ! 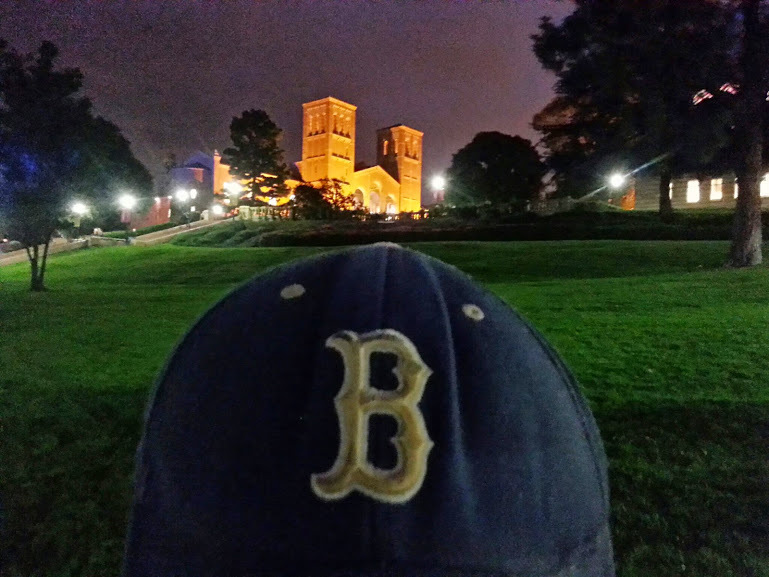 As we all get ready for the one event that divide’s all of us Dodgers fans, the SC-UCLA game, Drei here brings you some sight’s, rants, and sounds from Westwood to DTLA, all in one night, Thursday, 11/20/2014. 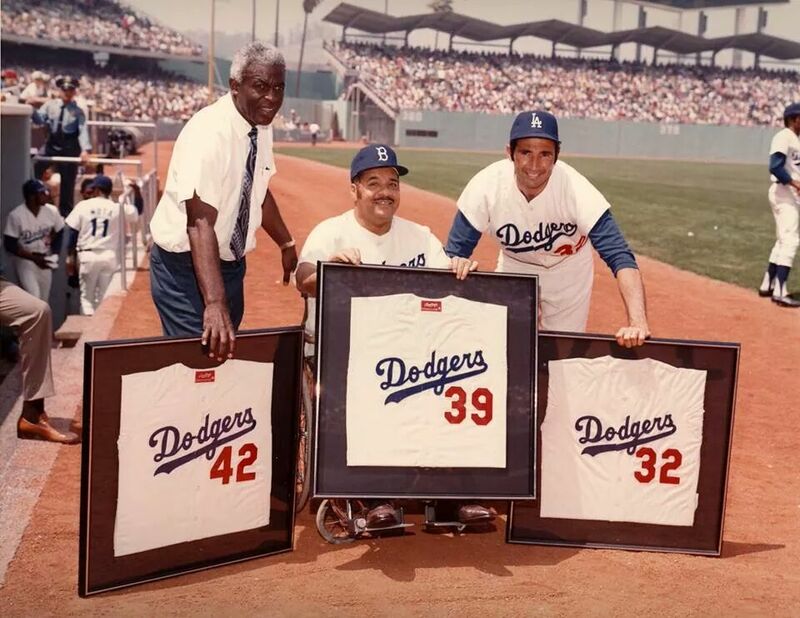 But first, some big Dodgers/UCLA related news..
As many of you know, Jackie Robinson was not only one of the greatest ballplayers who donned the Dodger Blue, but was also an outstanding humanitarian. 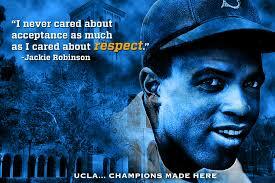 Perhaps many of you are aware that Jackie Robinson was a 4 sport athlete at UCLA . 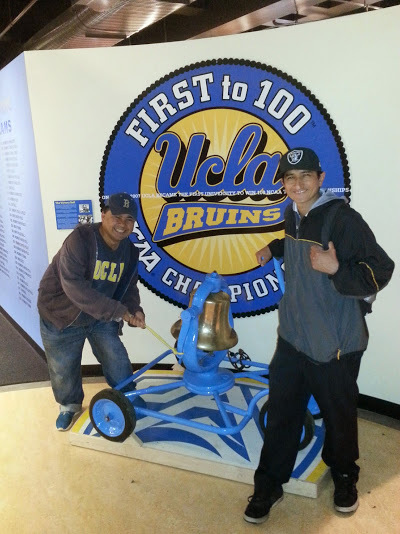 Today, it was announced the UCLA will be naming 22 of it’s athletic facilities after the Dodger/UCLA legend. The number 42 will also be painted into the Rose Bowl field at the 25 yard line for tomorrow night’s clash. As we make our way toward Staples Center, here’s some beats from Mid City’s resident DJ, once again… Reno Sparks. Yo Reno, What It Be ? What It Do ? My view from up in 305. Arrived just in time to see Tanner Pearson end his scoring drought with the game winning goal in the 2nd period as the Kings would come out victorious 3-2 over Carolina. 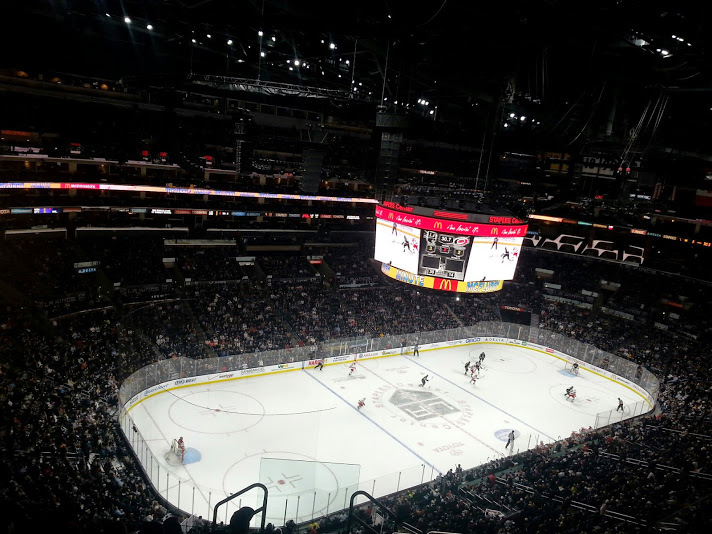 Hopefully, I’ll have more to bring you from Staples Center as the hockey season goes along. For a venue now entering it’s 16th season, Staples Center sure doesn’t feel like it’s age . 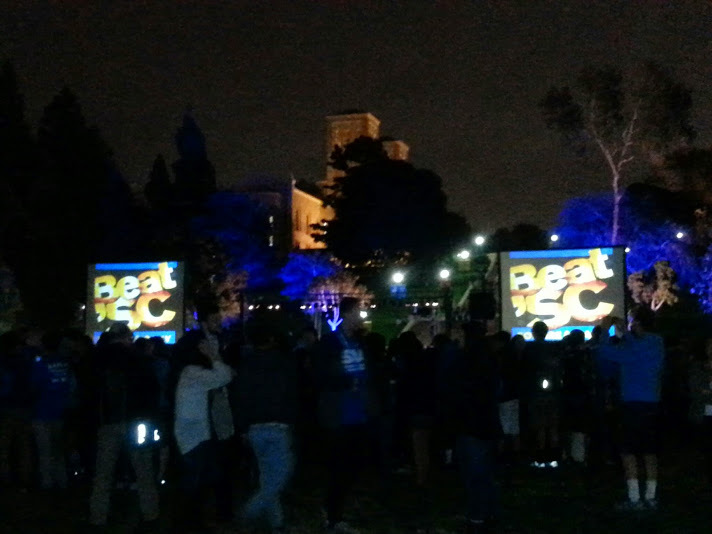 And that, folks, is your typical Thursday evening in L.A, from Westwood to DTLA. 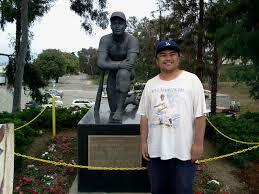 Hey, enjoy the game this weekend. Regardless of your allegiance, it should be a great game. 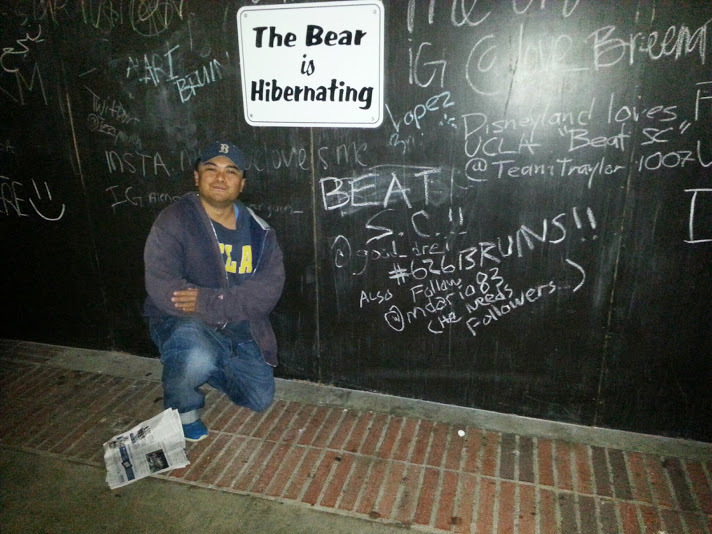 Drei here is sticking with his pick earlier this week, UCLA 34 USC 24. Your prediction ? Ah, the sweet sound of VICTORY to ring in the weekend !!! 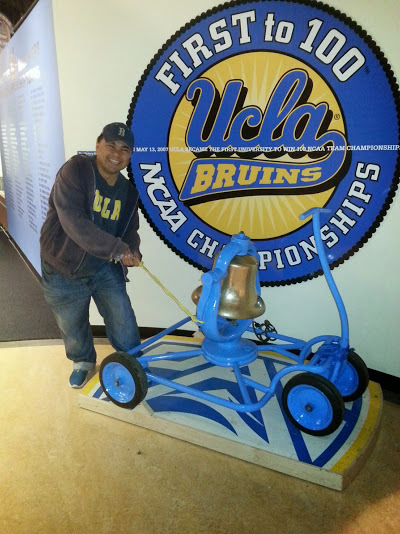 If all goes well, the Victory Bell will remain in it’s rightful color, BLUE !!! 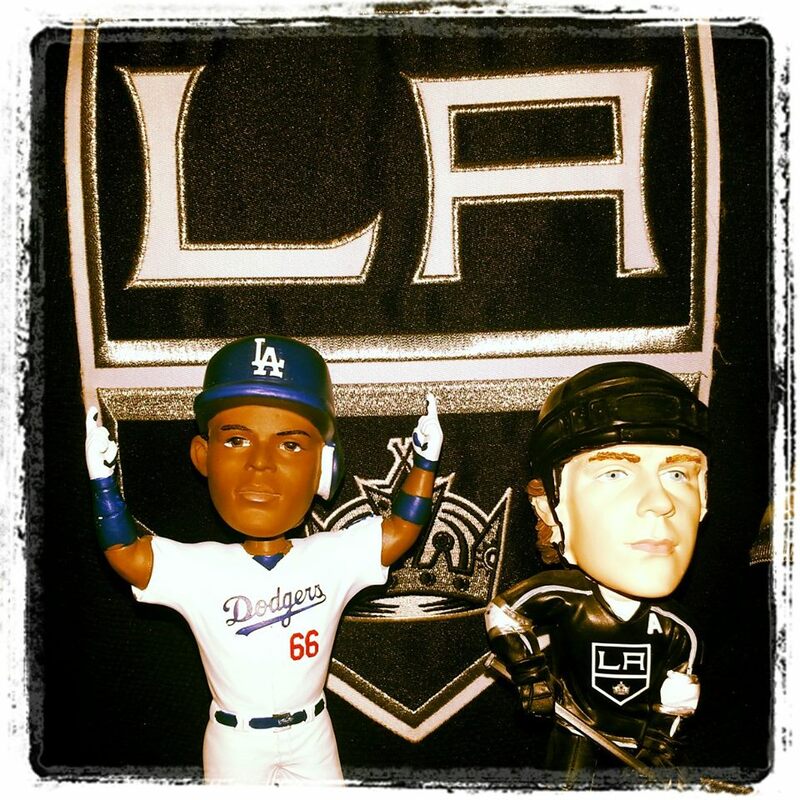 This weeks theme, The Stanley Cup… Go Kings Go !!! 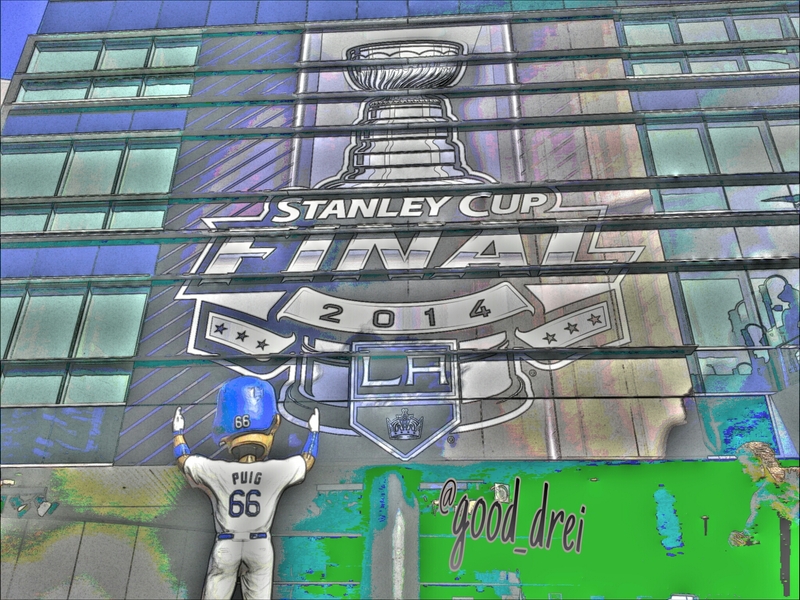 Earlier this week, our Mini Puig cruised the streets from Inglewood to DTLA, seeing all kinds of support for the Kings, playing in their second Stanley Cup Finals in 3 seasons. 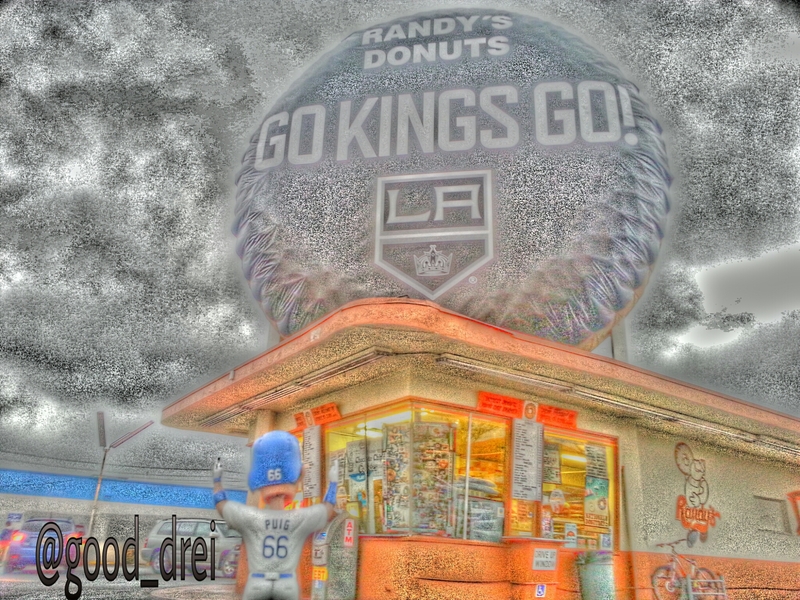 Before he ventures the streets, Mini Puig makes a quick stop at Randys Donuts, where they too are showing their support for the Kings. 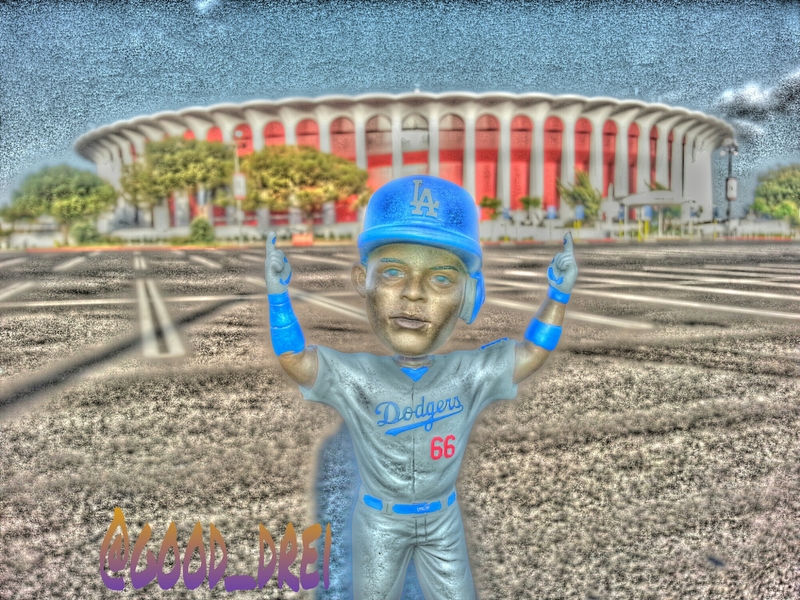 After a couple of donuts Mini Puig sends to be a happy camper. 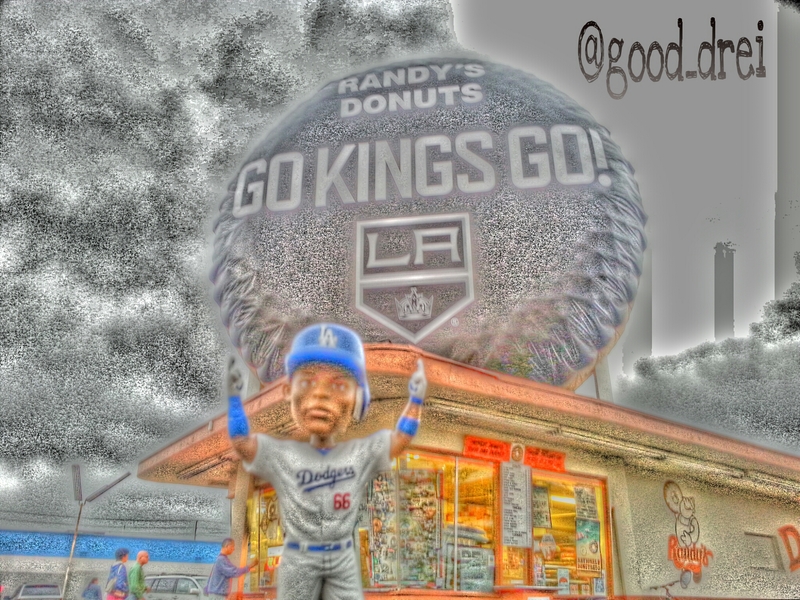 Hopefully those donuts don’t show him down during upcoming games…..
Moving right along Mini Puig makes a stop at the one time home of the Kings, The Fabulous Forum. 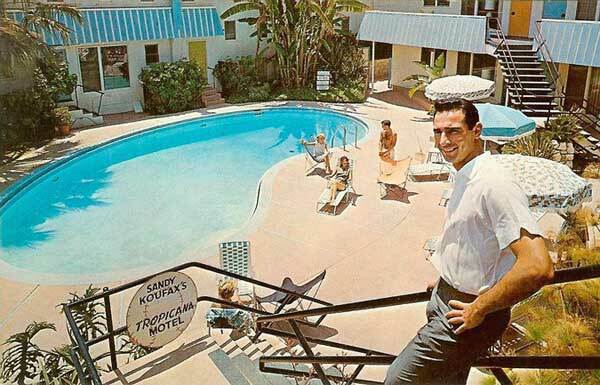 The Kings would call this place home from 1967-1999, appearing in one Stanley Cup final. Oh yeah ! Lord Stanley’s Cup. Two more wins and that cup comes back to L.A. ! 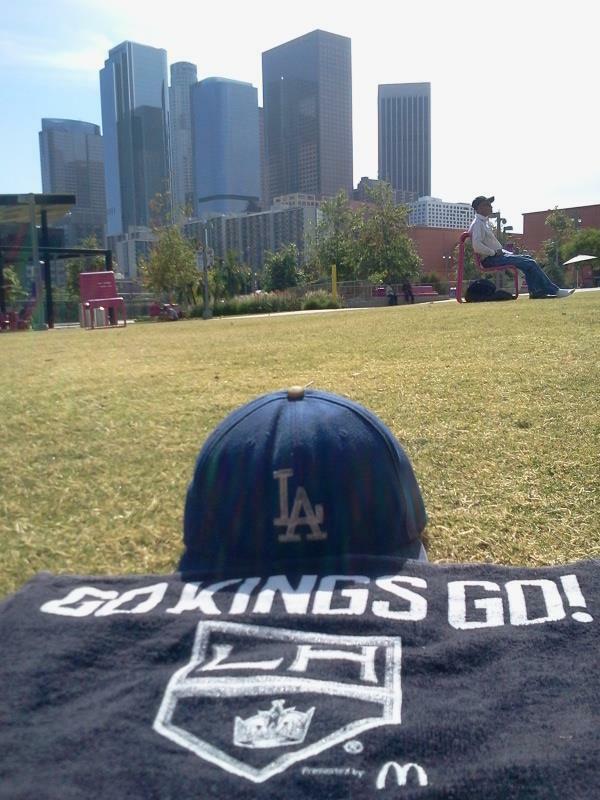 GO KINGS GO !!! 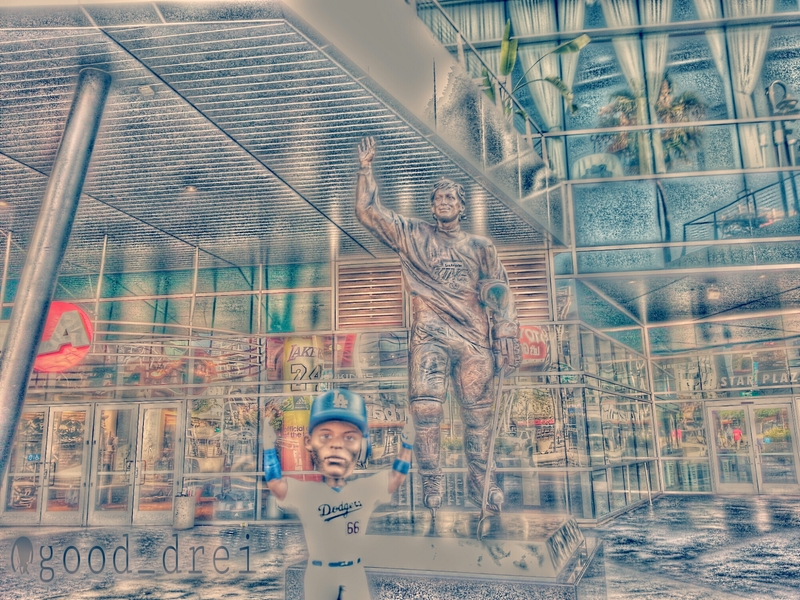 Puig still believes he will help The Blue bring home a trophy of a different sorts. 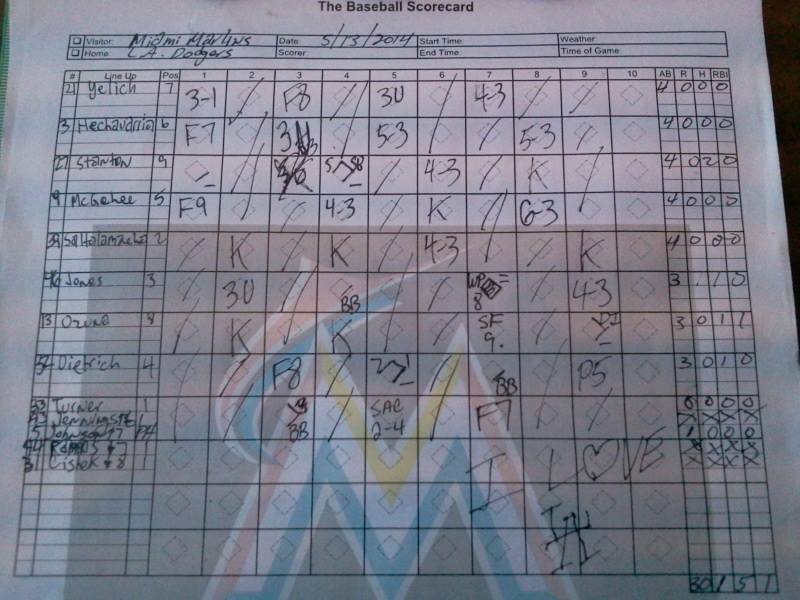 One that has eluded them since 1988. 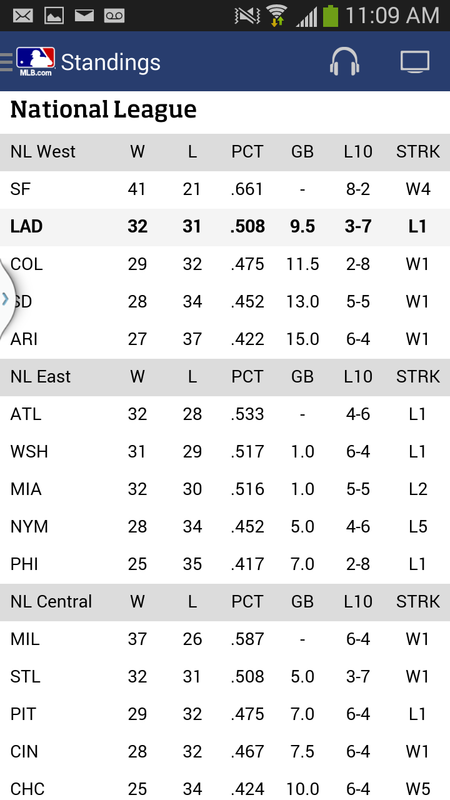 It’s going to be a tough climb again this year, With The Blue currently 9.5 games behind the Giants. 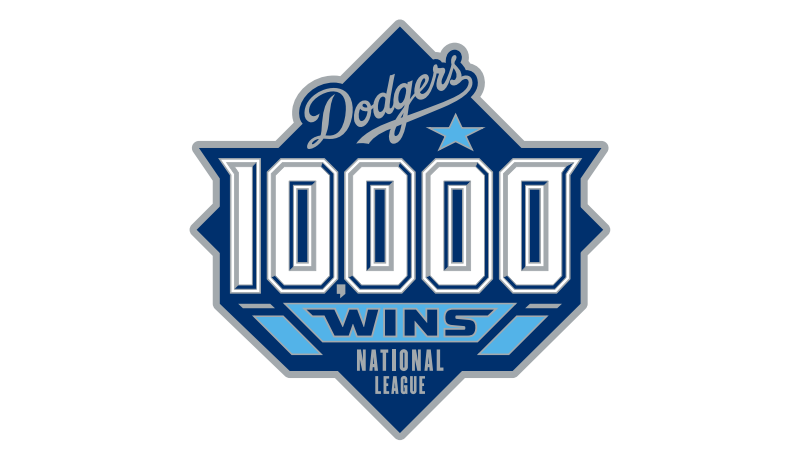 But hey, they overcame their 30-42 stay last season , due in large part to Big Puig’s arrival, along with 42-8 run, which would be asking a lot again. 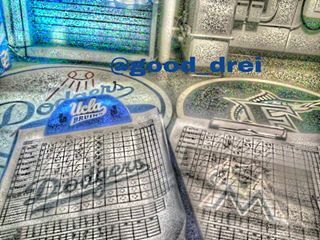 For all the talk of the Dodgers struggles, lost amongst all this talk is the fact the Dodgers have the 3rd most wins in the NLCS along with the Braves and Cardinals, two teams the Dodgers faces in last year’s playoffs. The Pirates, who have struggled on the road this season, are starting to warm up. When all is said and done, at this point, With exception of the Giants and Brewers, there is a lot of parity in the senior circuit, including all 5 NL playoff participants, 2 who see themselves south of the .500 mark . As I said earlier, expecting another 42-8 run would be asking too much. Putting together a string of wins, certainly this team is more than capable. 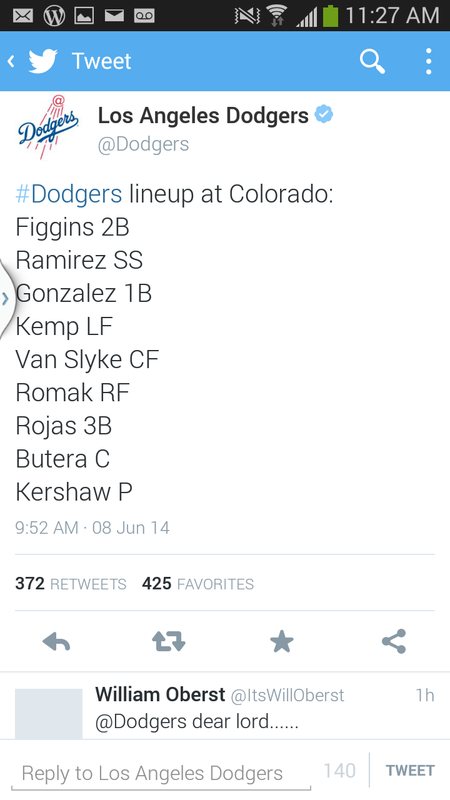 Not exactly a lineup that instills far is it ? 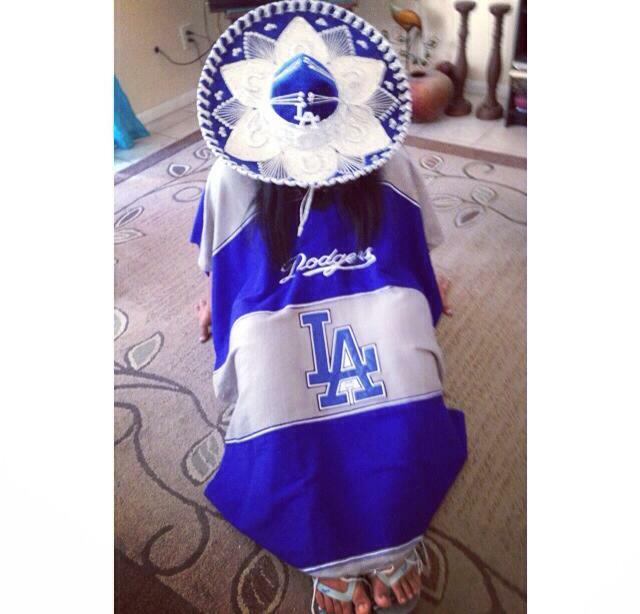 See the tweet from the Dodger fan below the lineup…. 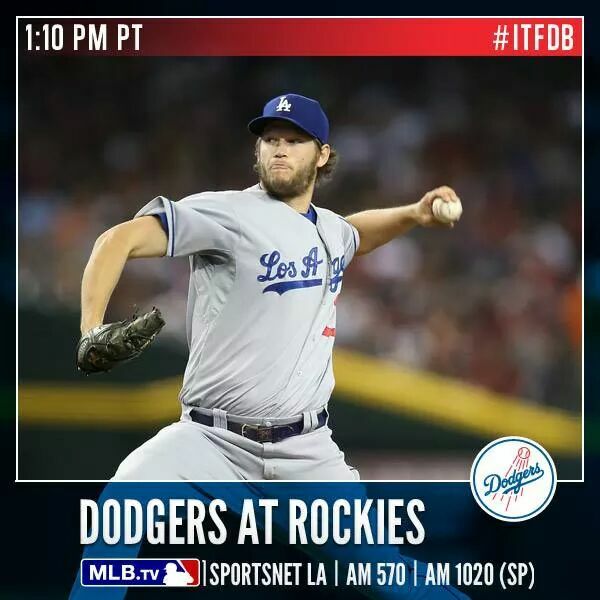 The Dodgers with Kershaw on the mound as they try to take 2 of 3 at Coors Field. 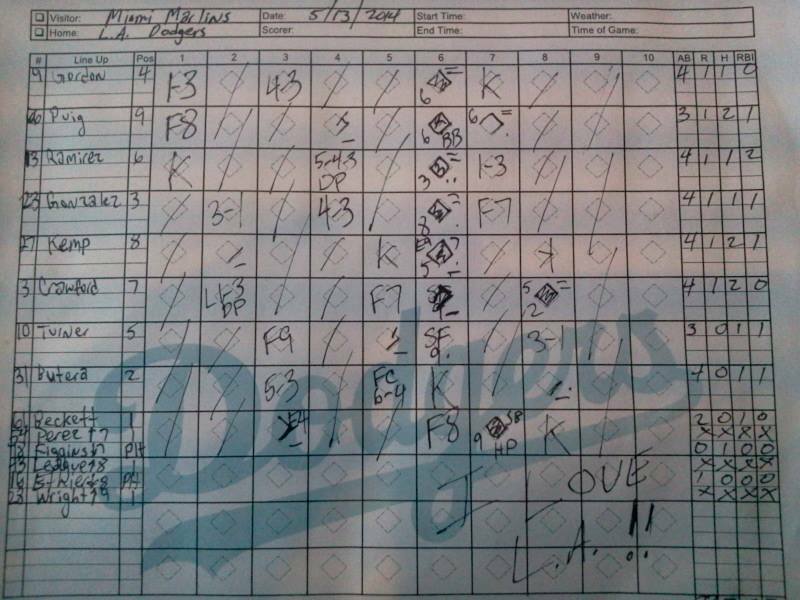 Away from Dodger Stadium, where the Blue is 13-19, the Blue have actually held their own, spring a 19-12 record away from The Ravine. 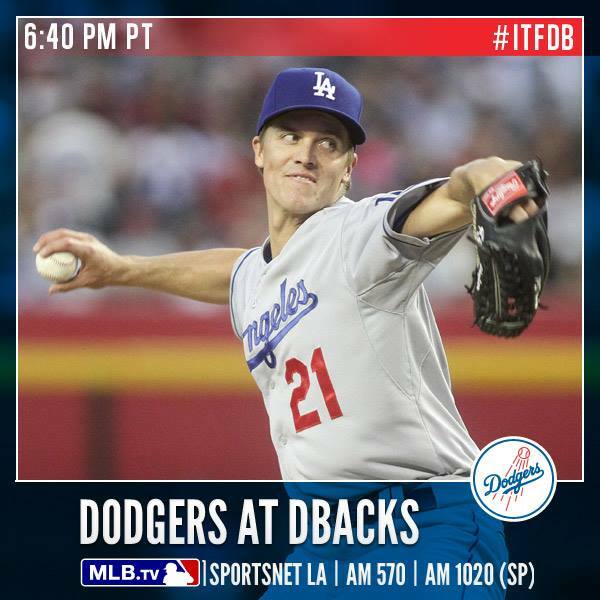 After today, the Dodgers travel to Cincinnati for a four game set with the Reds before returning home Friday night against the DBacks .